Google Pixel features will not make an appearance on the latest Nexus phones. A new Android update seems to be the only gift in store for them. Get the whole information here! Ever since Google launched two brand-new smartphones – Google Pixel and Google Pixel XL, two days ago, everyone has been going gaga over them. The phones, as well as their exclusive features, have ushered so much excitement, that people have almost forgotten about everything else. In between, the Pixel unboxing videos in association with Verizon had also surfaced. This has certainly affected the Nexus line, in the worst way possible. It had just started to come to terms with the situation when Google decided to drop another bomb. Google confirmed that it won’t be sharing any of the new Google Pixel features with Nexus. It means, the unlimited storage, the new launcher, the cool photo and video apps, etc., will remain just a dream for Nexus. There won’t be anything new for the Nexus line, except for an Android 7.1 Nougat Update, that is gearing up for its preview, later this month. Google specifically made a list of all the new Google Pixel features, that won’t be a part of the Nexus range. Among these features, the cool new Pixel Launcher topped the list. 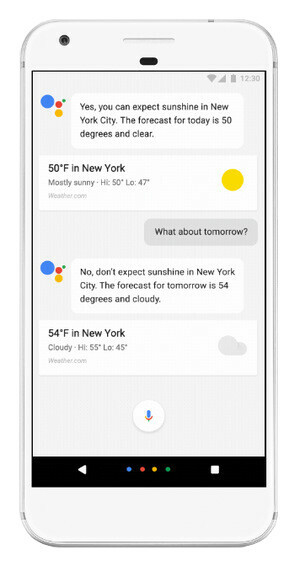 It was followed by the new offering of Google for Pixel phones, i.e., Google Assistant. The option of unlimited storage for both original quality videos and photos and smart storage were also the prime ingredients of the list. It also ensured that the Pixel Camera app, Phone support and screen-sharing options, remain unavailable for Nexus users. Being a hardware-heavy device, it is probable that even the Daydream platform might not come its way. It is quite understood from the list, that Google will not introduce any of the Google Pixel features to the Nexus phones. And, Google seems pretty adamant in its decision, too. One can but wonder how disheartened Nexus users might be feeling after hearing this news. After all, they had purchased Nexus 5X and Nexus 6P, in the hope that will get to enjoy all the latest additions by Google. I’m sure, that an Android update is not all they had in mind while making the purchase. Looking at Google’s move, we can just hope that it does not drive a wedge between Google Pixel and Nexus phones, just like Samsung and LG. A tiff between the two lines will only entail more loss for Google. Hope it does not come to this point, in future! Pingback: Pixel vs Pixel XL : Which One Will You Choose?